Yale really brought their A-Game to CES this year. 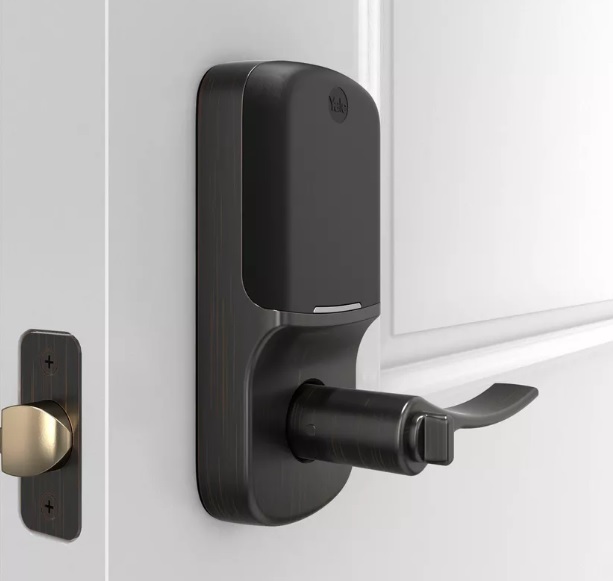 Ever since Yale entered the smart lock business a couple of years ago, they’ve been finding clever ways to separate themselves from the standard smart lock. So far, Yale has been first to market in Canada with a bump proof, keyless smart lock system (The Yale Assure Touchscreen) and has even started partnering with others. In addition to the Nest x Yale lock, there’s also their announcement last year that they entered an August partnership. At CES 2019, Yale announced a brand new addition to their lock repertoire to look after a previously unaddressed lock medium, and they announced new partnerships too. One of the main things to keep in mind with Yale Locks is that they add functionality through a connecting plug-in that you add into the lock housing. These plug-ins are sold separately and available at Best Buy. Some of what I’m about to discuss in this blog will require some of this additional tech, and I will do my best to explain which one you will need to support your setup (where applicable). Until now, the evolution of the smart lock has really centered around front doors and deadbolts. Naturally, that’s what most of us think about when we enter and leave our homes. However, what about doors that don’t have deadbolts at all? Whether an older building door, or even an internal entry door to a rental suite in your home, there hasn’t been much, if any, attention paid to a door that has no deadbolt and a mechanism like a push button lock instead. Enter the Yale Assure Lever Lock. This is a lock specifically designed for those doors that don’t actually have deadbolt drill holes and are locked using a single push button or turning knob. This is the type of lock you’ll want to get if you have a room or space within the home that needs to be locked at all times (ie. 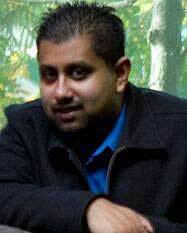 if you work from home and have to lock up the office room because of sensitive or confidential information). One version of the Yale Assure Lever Lock will also be completely bump proof, as it has no locking mechanism or keyholes available from the outside. Much like the standard Yale Assure Touchscreen, one version has a light up keypad which allows you to key in a numeric code to unlock. Since the keypad numbers do not show visible reaction to touch, you’ll also be able to key in your code as covertly as possible in order not to give it away. The keypad reacts to a successful key press by unlocking and flashing horizontally, and if you’re worried about being locked out when the battery dies, don’t be. Yale Assure Locks like these always come with a failsafe where you can apply a 9 Volt battery to an outside terminal and temporarily power up the lock to get back inside. Yale does have a tendency to offer systems with keys as well, so you should be able to find a more traditional version if you want that too. Yale was also showing a version of this lock with push buttons instead of a touch screen. Lastly, you’ll be able to connect your locks to other systems as well if you add the Connected by August or Z-Wave addons. As the Yale Assure Level Lock was just announced, you should see it on shelves later on in the Spring. When Yale’s parent company Assa Abloy bought August in 2017, it was only a matter of time before a direct partnership between the sister companies was announced. Last year, Connected by August became a reality, which opened up a massive world of possibilities for Yale Locks. This year at CES, Yale announced a couple of new partnerships that will continue to take their locks to the next level. First, there is Works with Arlo, which itself was announced earlier in the week. 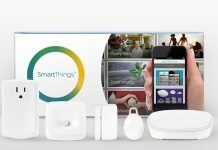 This announcement comes hot off the heels of Netgear spinning Arlo into its own stand-alone company last summer. Works with Arlo looks to create similar cooperative functionality not unlike other partner networks like Works with Nest. 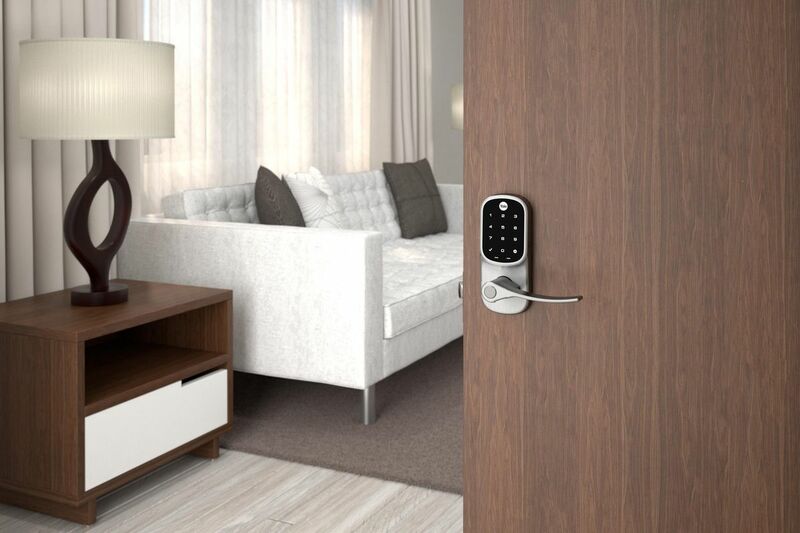 While using Yale’s Z-Wave addon, you’ll now be able to take your Yale Locks and (through this new partnership) connect them with products not only from Arlo, but also from Bose, Sonos, Leviton, Philips Hue, Schlage, and more. You will need the new Arlo SmartHub in order to be Connected to the Works with Arlo ecosystem, and full functionality should be in place by the second half of 2019. Yale also announced a partnership with Amazon-owned Ring. 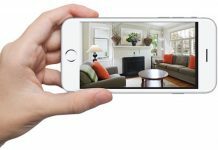 The Ring Alarm was an interesting addition to the world of home automation last year, allowing for those uninterested in traditional hard-wired alarms to have a similar multi-sensor system in their home. 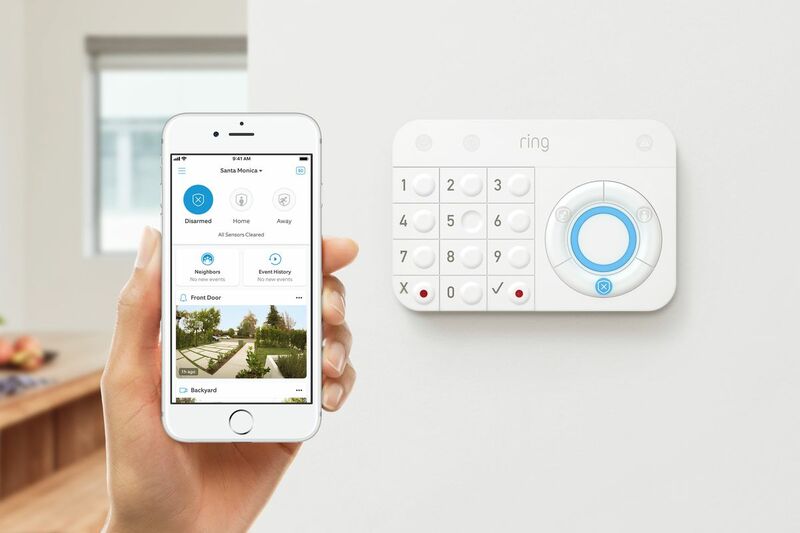 Ring Alarm looks and functions like your standard home alarm system, but you don’t have to cut into your walls and pass wiring through at all. Using Z-Wave technology, Yale Locks partners with your Ring Alarm directly, acting as a pseudo-alarm code. If you unlock your Yale Lock, it will signal back to the alarm system to disarm itself. Conversely, if you lock the door, it will signal to arm your Ring Alarm. It’s a great and convenient way to ensure you don’t forget to arm the alarm, or, if you’re like me and like to single trip all of the grocery bags from your car, disarm it without running for a keypad before you wake up half the neighbourhood. Over time, Yale has become a lot more than just an imaginative security company. These announcements at CES 2019 solidify them as a serious contender in the smart lock market. Check out the full range of Yale Smart Locks now available at Best Buy and online at BestBuy.ca. Please do keep in mind that in order to experience some of these automation partnerships properly, you may need the Z-Wave or Connected by August kit. In some cases, the latter is sold as a package with a lock too. 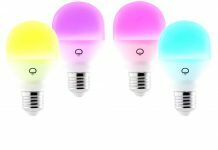 Please keep an eye on the Best Buy Blog for more CES announcements from the big show and product release information like in this one.